Thanks to all who came out to Registration Night on Wednesday. The meeting went well, and we have our full complement of board members for 2014-2015. We really appreciate all of you volunteers! Our registrar, Dansya, is working hard to put all of our requests in order and get as many people as possible into their preferred classes. She and our adminstrator, Nancy, will inform everyone of their class placements as soon as possible. If you still need to register, please bring your forms and $45 registration fee to the preschool office, and your child will be placed or waitlisted, as space allows, once we have made class lists from those registrations submitted at Registration Night. Thanks again for a successful evening! Find all the details and PDF forms here. We moved into our new facility in March, 2012, with the help of many volunteers, and we are loving it! With the addition of playground installations in October 2013, we are more at home than ever. “The Roundhouse”, as it is called, is a shared facility with the Canmore Community Daycare, and in the same complex, the Royal Canadian Air Cadets have moved into the building next door. 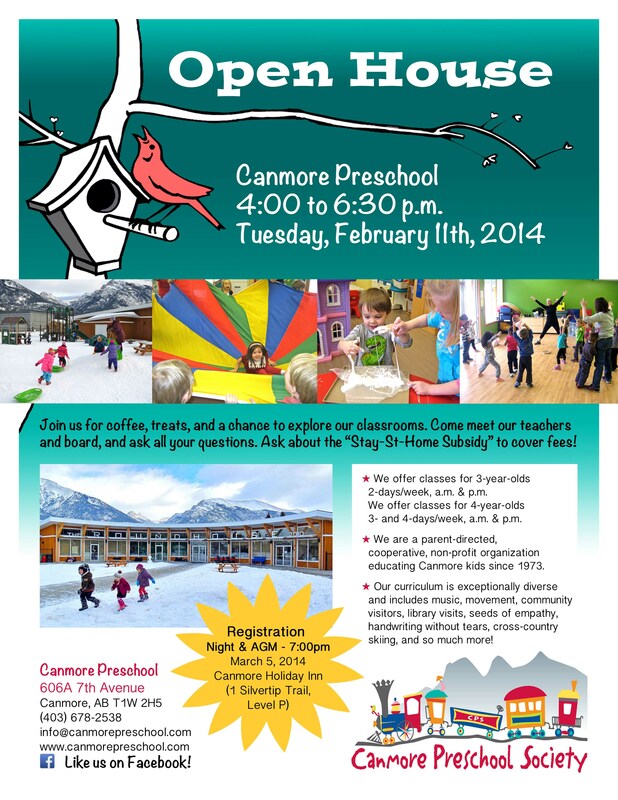 Our new site is on the same property with Lawrence Grassi Middle School, three blocks south of Main Street, Canmore. 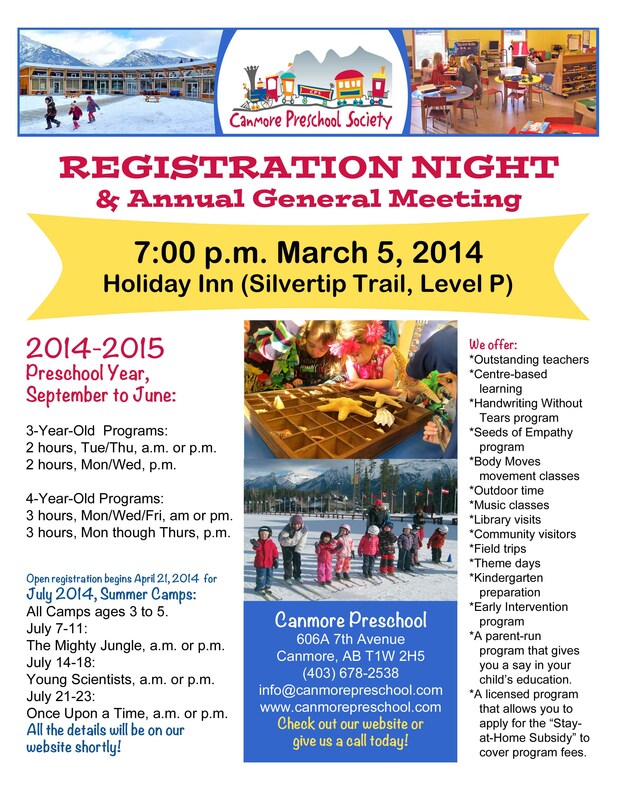 We and the Daycare have a joint lease agreement for the property with the Town of Canmore. Our facility boasts all the amenities in kid-sized proportions, walls of windows to take in the mountains, plus a mini-gym where we will hold music and movement classes, along with other special activities. Outside, we share three fenced play-yards, with a mixture of open space and play structures. 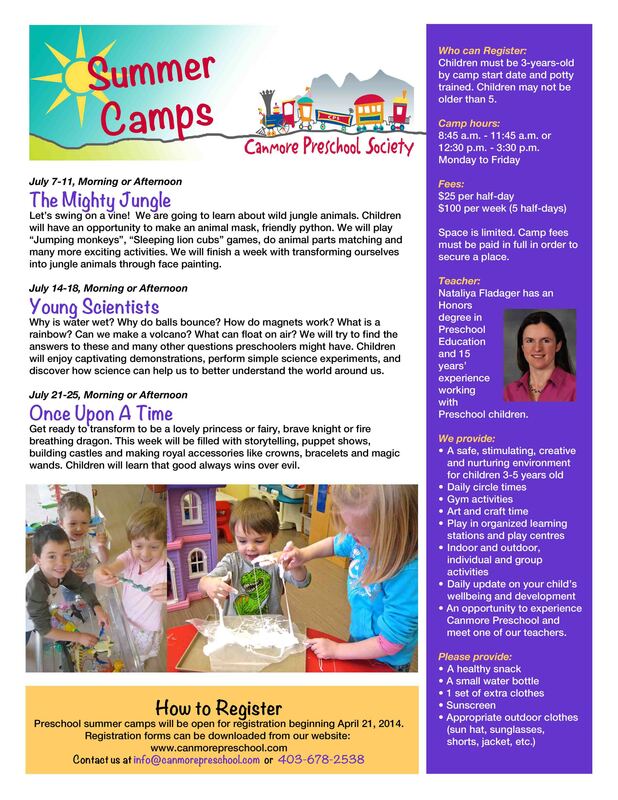 Canmore Preschool encourages parents to come in, meet us, check out the facilities, and observe our programs. Please call first to make sure we are on-site, and not out on a field trip! Preschool office: (403) 678-2538. Thank you for the remarkable community effort, making our dream a reality! Our thanks to Scott Manktelow for creating our old website, which served us very well, and for continuing to help us with it long past when his kids were in Preschool. Feedback about the new site can be sent to us through the Contact page. Thanks!